WAX RIBBONS are typically for printing on matte or semi-gloss paper labels used on tubes and patient files. Here the labels can survive without smudging for many years. However, the labels should be kept dry, must not be abraded or subjected to chemicals/oil—all of which could melt the wax image. WAX/RESIN RIBBONS are specially blended to produce a finer image on papers and many synthetic films. You can get more scratch, abrasion and moisture resistance than with wax ribbons. In fact, some wax/resin formulas―well-matched to specific label stocks―even offer chemical resistance. Since many lab label applications require durable, yet flexible labels (typically made of polypropylene and other polyofins), wax/resin ribbons are very popular. RESIN RIBBONS are formulated to print on all types of plastic labels—such as polyester, polypropylene and vinyl. The ink is designed to slightly dissolve into the plastic surface of the label and with a tight adhesion to the label, the label then becomes extremely durable. Plastic labels with resin printing will survive immersion in water, are highly scratch-resistant and can be resistant to chemicals, solvents and oils (depending on the specific resin formula). When you need to meet the challenge of demanding lab conditions—such as chemical-resistant identification or cryogenic storage—then a super-durable resin ribbon will be the clear choice. 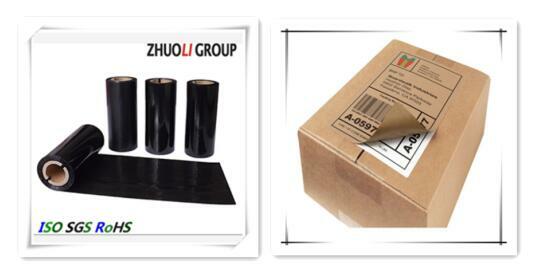 The choice of what thermal transfer printing ribbon to use depends on your application. 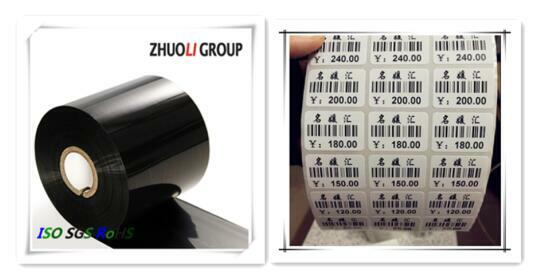 Zhuoli Can Provide All Types of Printing Ribbon to Meet Your Requirement.